My most recent Space-Time Continuum column for Freelance, the magazine of the Saskatchewan Writers’ Guild. 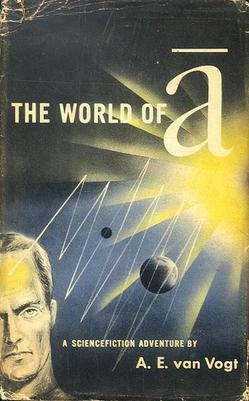 The Golden Age of science fiction, many say, began with the publication of A.E. 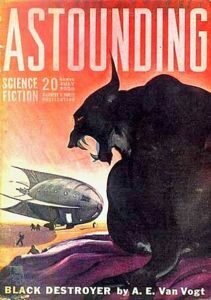 van Vogt’s story “Black Destroyer” in Astounding in 1939. Isaac Asimov’s first story for Astounding appears in that same issue; the next contained the first story by Robert A. Heinlein, and the next the first by Theodore Sturgeon. But A.E. van Vogt’s story started it all—and van Vogt was a Saskatchewan boy. Although Alfred Elton van Vogt was born April 26, 1912, on a farm in the Russian Mennonite community of Edenburg, near the border town of Gretna, MB, his family lived in Neville, south of Swift Current, at the time: his mother had gone home to Edenburg for the birth. 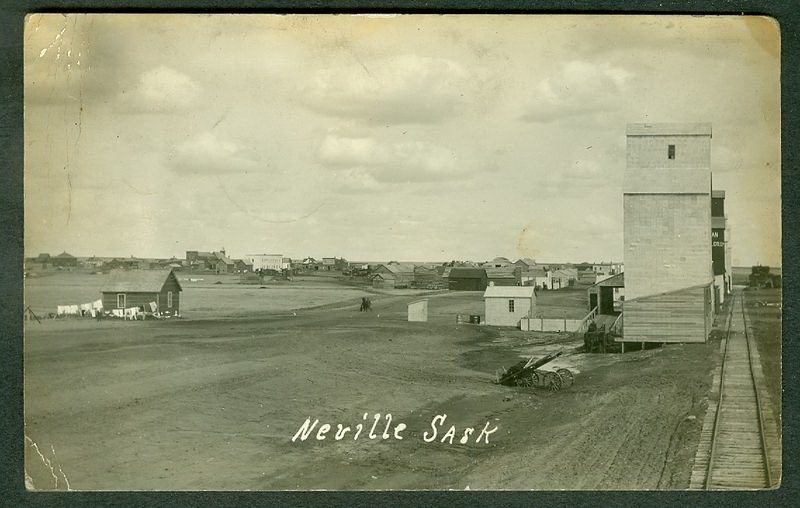 Van Vogt’s father, Henry Vogt, had moved to Neville around 1910, when his mother, Judith, stepfather, Abram Schmidt, and siblings had relocated there. Henry graduated from the Indianapolis College of Law the year after Alfred was born, becoming (along with his brother David) among the first lawyers of Mennonite background in western Canada. Henry returned to Neville to practice (he was also elected the first mayor), and Alfred started school there. The year he turned ten, the family moved to Morden, MB. In 1926 they moved to Winnipeg, then, in 1929, to Swift Current. In 1931 they returned to Winnipeg. Van Vogt graduated from the University of Ottawa, and it was in Ottawa, while working as a census clerk and representative of Maclean Trade Papers, that he began writing fiction: not science fiction, but “true confessions.” In the process, he honed a style influenced by Canadian John Gallishaw’s 1928 book The Only Two Ways to Write a Story. For example, he was a proponent of what he called a “hang-up”—some piece of missing information that the reader’s imagination had to supply. Sometime during the 1930s van Vogt returned to Winnipeg. He wrote radio plays for a while…but then, in 1939, the same year he married E. Mayne Hull, he sold “Black Destroyer,” and began an astonishingly productive and influential decade. In “Black Destroyer” an expedition to a distant planet is almost annihilated when an apparently friendly cat-like alien turns out to be, not only not friendly, but able to exert considerable control over matter and energy. “Black Destroyer” instantly cemented van Vogt as a major science fiction writer, and its influence stretches to the modern era, inspiring, among other things, the Alien series of films (in fact, van Vogt collected an out-of-court settlement of $50,000 from 20th Century Fox). 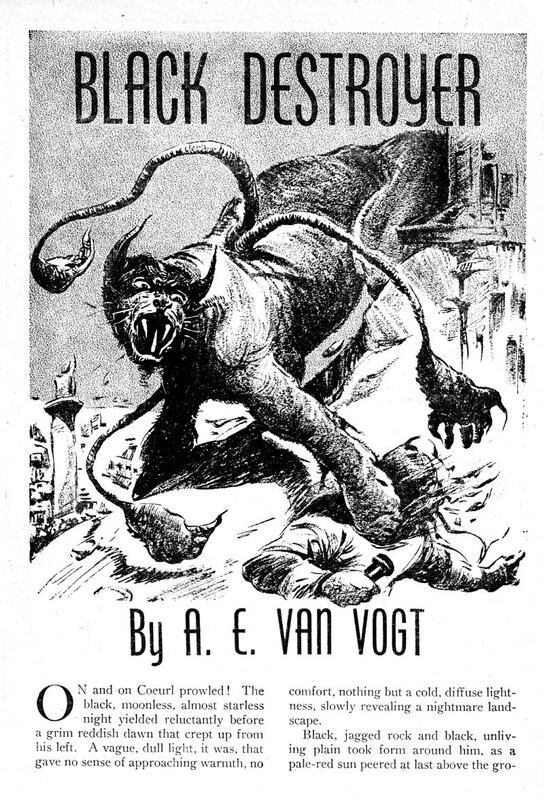 Between 1939 and 1947 van Vogt published at least thirty-five science fiction stories in Astounding alone, and many others in other magazines. Over his life, he would also write thirty-eight novels. Some were “fix-ups” of his short stories: “Black Destroyer,” for example, became part of his novel The Voyage of the Space Beagle. His first novel, Slan, dealt with a persecuted race of human-bred mutants and attempts to bring peace between “normals” and their physical and mental superiors—another well-mined trope in the decades since. Other novels include The Weapon Shops of Isher and The World of Null-A, which, when it was published in 1948 (by then, van Vogt was living in the US, having emigrated in 1944), was the first science-fiction magazine serial to appear in hardcover from a major publisher. Its French version, translated by surrealist Boris Vian, created a market for science fiction in that country. Van Vogt was prone to latching on to various forms of pseudoscience (the Null-A books, for example, were based on something called “General Semantics”). After he became fascinated by Dianetics, invented by fellow science-fiction writer L. Ron Hubbard and the basis of Scientology (although van Vogt never became a Scientologist), he quit writing for several years. When he resumed in the early 1960s, his work no longer had the same influence. In 1995, the Science Fiction and Fantasy Writers of America (SFWA) presented van Vogt with its Grand Master Award. 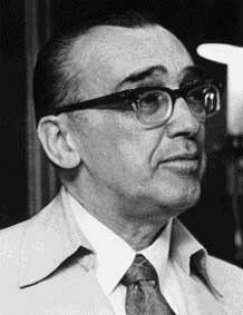 In 1996 he was inducted into the Science Fiction Hall of Fame. By then, sadly, he suffered from advanced Alzheimer’s: as Robert J. Sawyer recounts on his website, the night of his induction van Vogt told someone that while he remembered being a writer, he no longer remembered anything he had written. He died in 2000.